I started to write a blog entry the other night, but didn’t finish it. I got distracted by Pinterest. So I went back today to finish it. And it was gone. Which is a shame because it was off to a good start. I talked about So You Think You Can Dance (which we had been watching that night), how Lacey will always belong to that show and not to the vastly inferior Dancing With Stars, that bone crushers are gross and I of course found a way to reference Friends. I don’t feel like to trying to recreate what I wrote, but I will still give you this, which I had planned on using. I was playing around on Pinterest today too. And since a few of my friends have popped out kids this past year, there is always lots of baby stuff in my feed. And seeing it tonight reminded me of how a couple years ago a friend was pinning tons of “getting your kid ready for a sibling” stuff. So anyway, I of course immediately texted my friend to ask what was up with her pins and was she pregnant? She said no, but that I was like the 12th person to contact her and ask that. Then we moved on and had a lovely convo. Around a month ago Michael was gone on a trip and I was getting bored at night. So I had the brilliant idea to pin a couple of “get kid ready for a sibling” things. I figured people would contact me to ask what was up with the pins and I would pass a lovely evening texting with multiple people. I told myself it was because I only pinned like three things, and that wasn’t enough to make an impact. So I’m going to keep trying. Probably not with the baby stuff since I just exposed that plan. But I’ll come up with something. Maybe unique tattoos, for the board I will create called “decorate me”. And never mind. I just googled “funny tattoos” so that I could find a pic to post. There was NOTHING funny about the stuff that came up. People should not be doing that stuff with their belly buttons and butts. I won’t subject you to it. But obviously, I’m very busy with Pinterest and finding ways to trick people into contacting me. To busy to spend a lot of time cooking or cleaning. Luckily I have a crock pot. Five minutes in the morning and done. 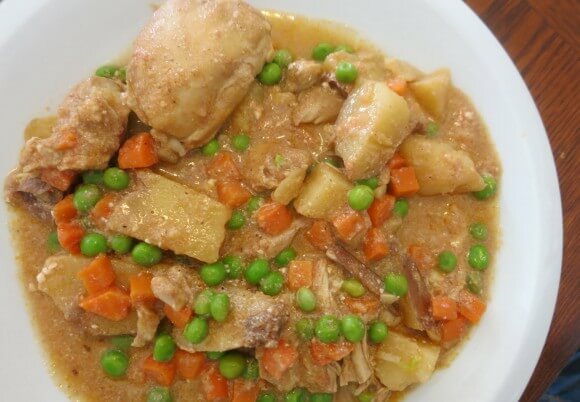 This week I made Garam Masala Chicken Stew in the crockpot. I had found the recipe in a Better Homes and Gardens. I know! Paper and not Pinterest! Old school! Since its been raining so much in the afternoons I thought a nice warm stewy dish would be perfect. And it was. The meat and potatoes were nice and tender and the seasoning is perfect. The only way it could have been better was if we had had some naan. The only other change I made was to not brown the chicken before putting it in the crockpot. This was for two reasons. 1) cooking first defeats the whole point of the crockpot in my opinion. Crockpot recipes should be easy! And I know browning is suppose to add extra depth to the meat, but this recipe has so many great seasonings in it that you don’t miss the meat flavor. 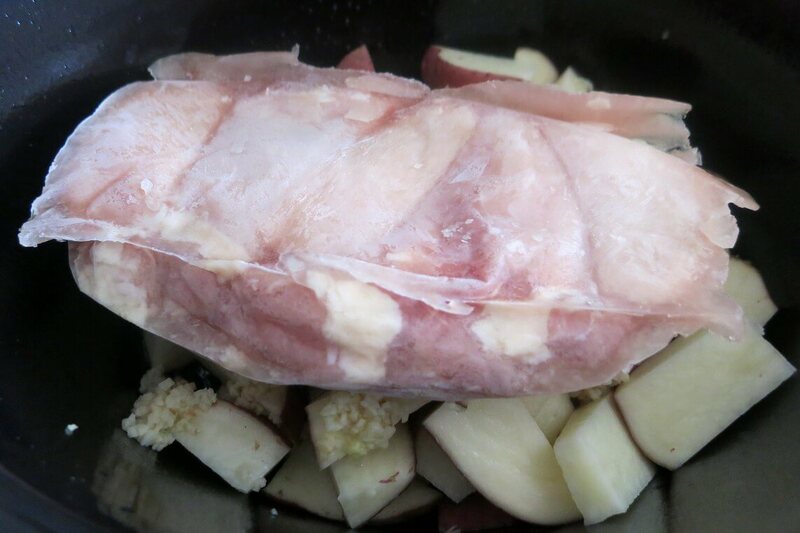 The second reason was that I hadn’t defrosted the chicken first, and I didn’t feel like doing so. It went into the crockpot frozen. Oh, I guess I had one other change. I didn’t actually have any garam masala seasoning, so I made my own. The recipe for that will be provided. Coat a slow cooker with cooking spray. Add potatoes, ginger, garlic. Place chicken on top. Sprinkle with salt and pepper. Pour chicken broth and tomato sauce on top. Cover and cook on low for 6-7 hours. Turn crock pot to high. Stir in peas and carrots, yogurt and garam masala seasoning. Cover and cook for 15 minutes. Enjoy! Garam Masala Seasoning: 1 tbsp ground cumin, 1 ½ tsp ground coriander, 1 ½ tsp ground black pepper, 1 tsp cinnamon, ½ tsp ground cloves. ½ tsp ground nutmeg. Mix all together. This will give you more than you need for the recipe but you can store the extra for next time!